Christine Grim is the sole operator of Horizon Natural Health Centre. 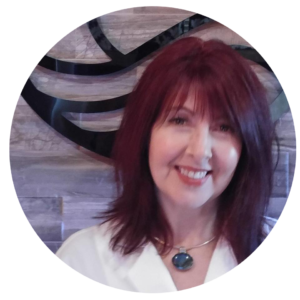 She is constantly evolving her knowledge and qualifications to bring premier detox and wellness services to Tillsonburg and surrounding areas. Your health is a reflection of how you treat your body. Horizon Natural Health Centre is your premier digestive health and detox centre helping you achieve and maintain a healthier life. Horizon Natural Health Centre is your premier digestive health and detox centre. Detoxing and nutrition play vital roles in achieving and maintaining a healthier life. At Horizon, we provide a variety of science-based, research proven state-of-the-art therapies, along with registered health care practitioners, to help you on the road to optimal health! More and more clients are seeking the services of Horizon Natural Health Centre on the recommendation of their doctor for many conditions and diseases. These include; cancer, Parkinson’s Disease and multiple chemical sensitivity. Did you know that in the book, The Truth About Cancer, several of Horizon’s services are mentioned as viable methods of cancer prevention and support? Other conditions being treated at our facility include arthritis, ulcerative colitis, irritable bowel syndrome, chronic constipation, a variety of respiratory issues, back pain, weight loss, and more.